Sužinokite apie mūsų specialų pasiūlymą! 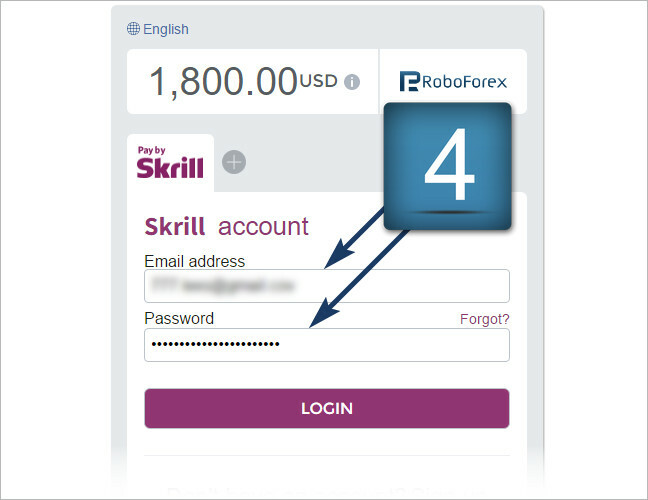 Instructions how to deposit your trading account using Skrill (Moneybookers). 1. 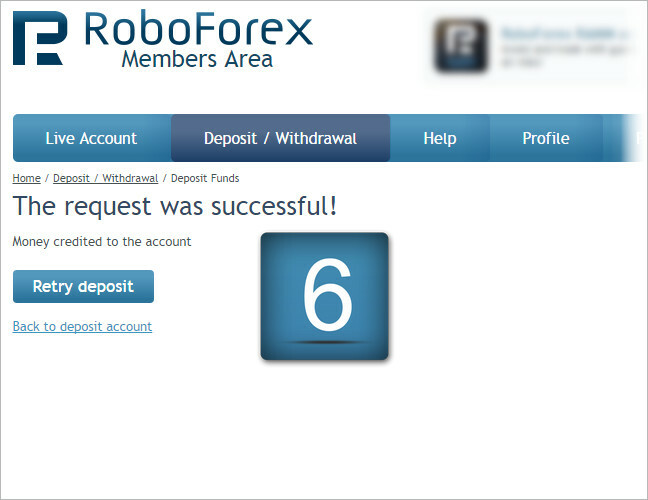 Login to your RoboForex Members Area. Choose "Deposit Funds" from the main menu. 2. 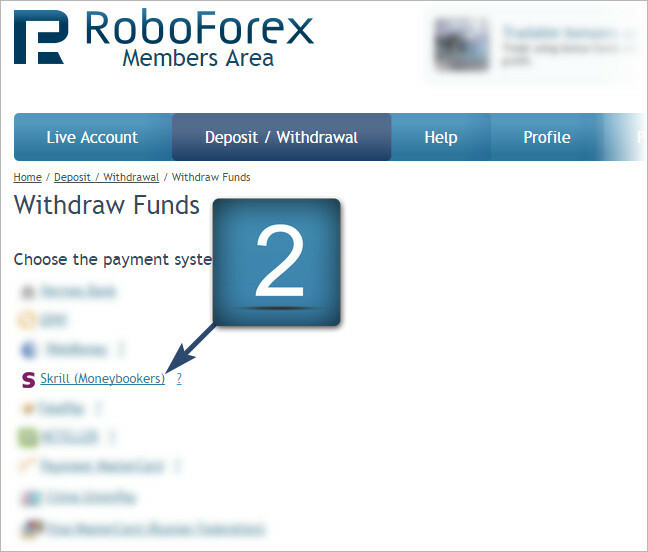 Choose "Moneybookers account" from the list of the payment systems. Specify the amount to be deposited and the currency of your transaction. In case the currency of the transaction differs from that of your trading account, we recommend you to study the Company’s internal currency rates beforehand. 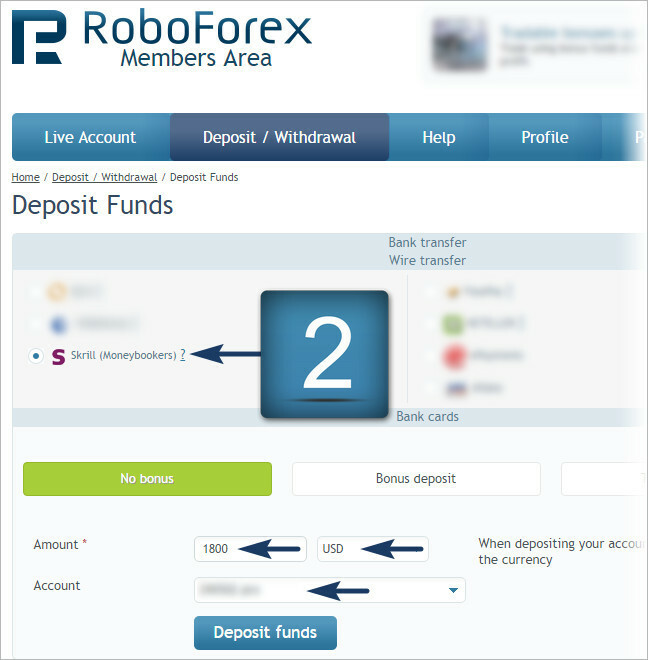 Specify the account you want to deposit and click on "Deposit Funds". 3. 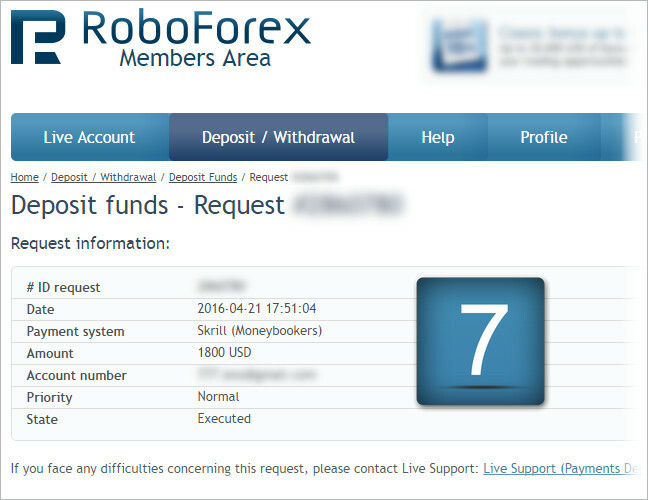 Confirm your transaction by clicking on "Deposit Funds". 4. Enter your Email and password in the "Moneybookers" payment system and click on "Login". 6. 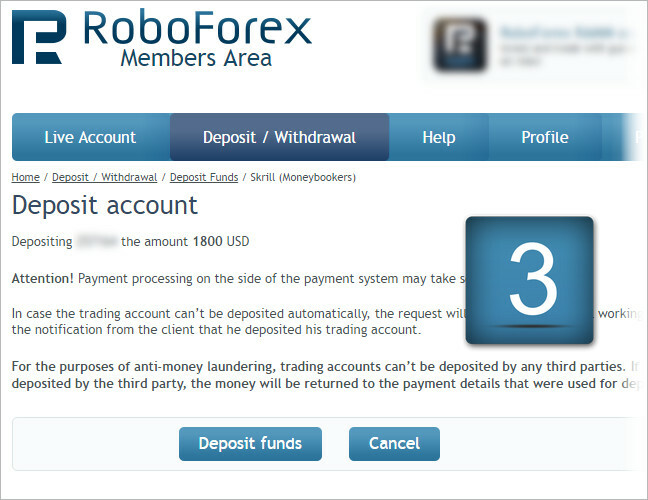 In your RoboForex Members Area you will be notified that the funds have been deposited to your trading account. 7. 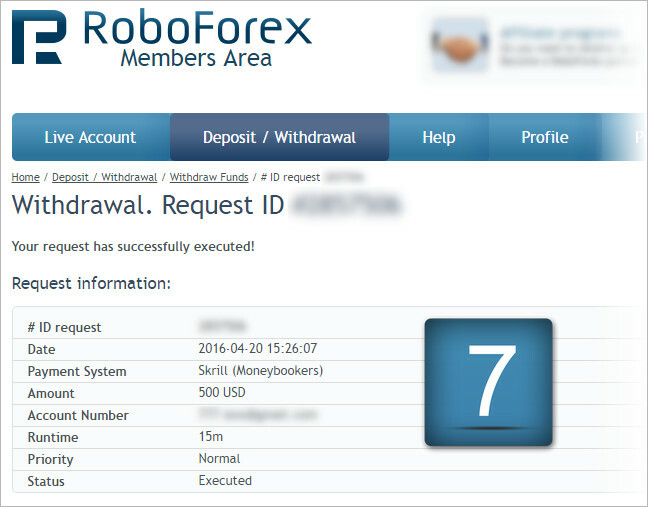 In your RoboForex Members Area you can see the details of your transaction. 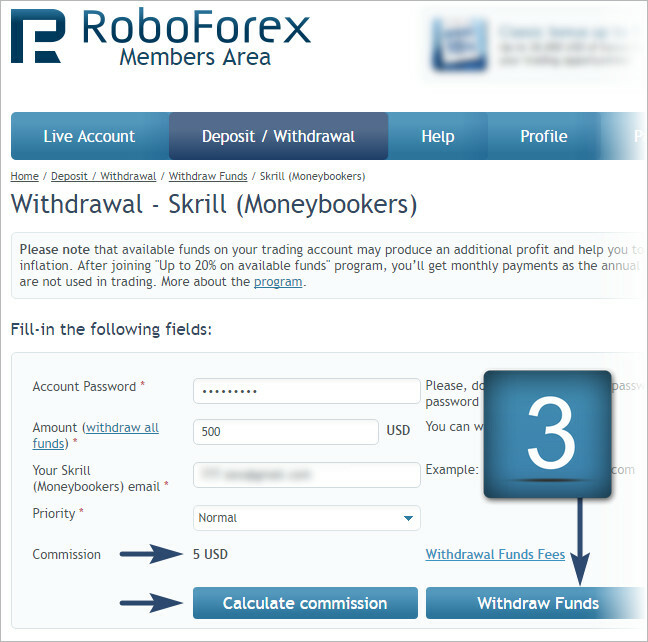 Instructions how to withdraw funds from trading account using Skrill (Moneybookers) payment system. 1. 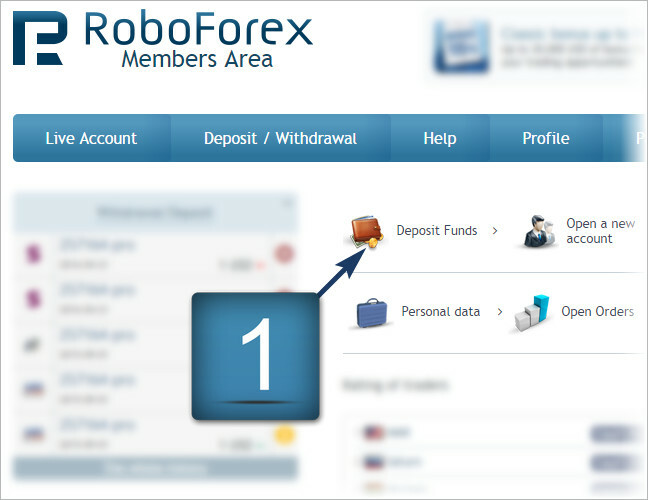 Login to your RoboForex Members Area. Choose "Withdrawal" from the main menu. 2. 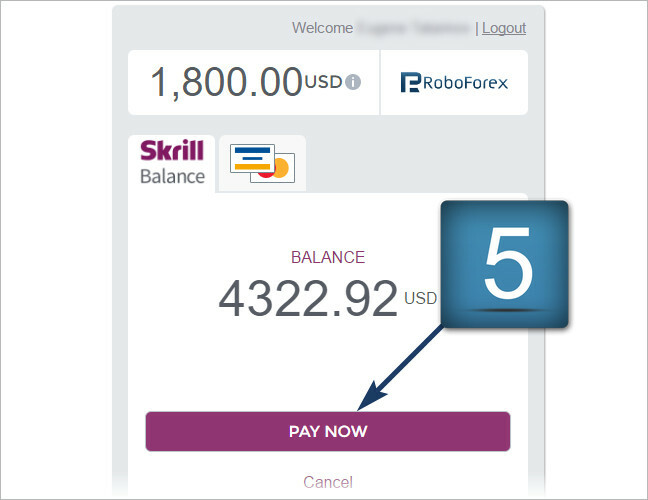 Choose "Skrill (Moneybookers)" from the list of the payment systems. 3. 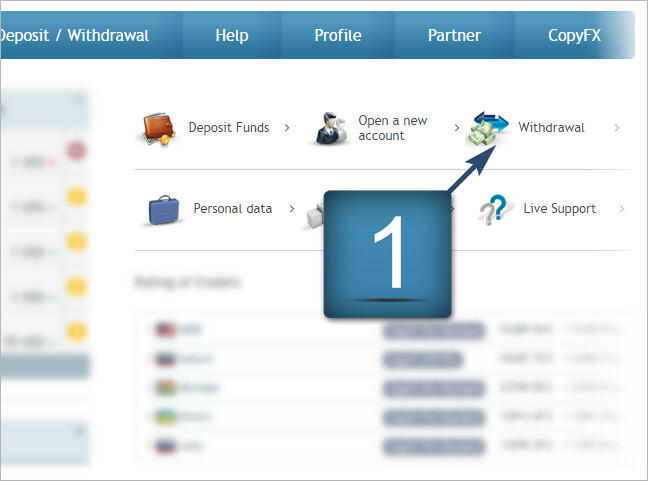 In the "Withdrawal - Skrill (Moneybookers)" section specify your trading account password and the amount to be withdrawn. 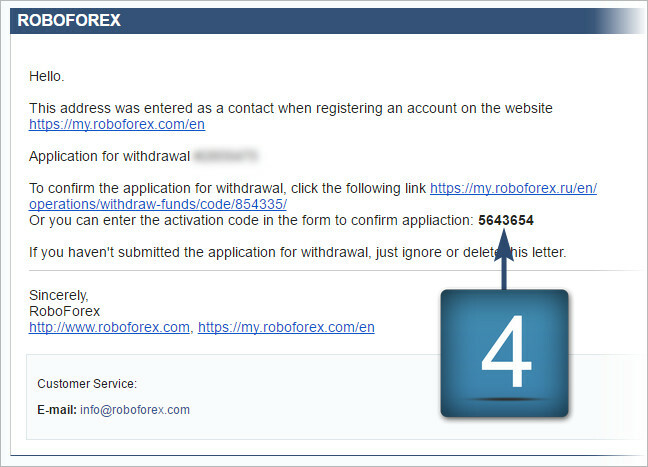 Enter your email address used in the "Moneybookers" payment system. 5. Enter the confirmation code. 6. 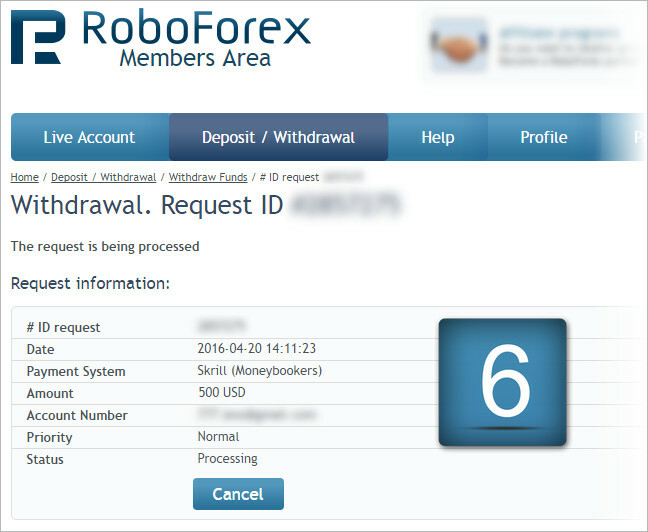 In your RoboForex Members Area the status of your request will be displayed as "Processing". 7. After your request is successfully processed, you will receive an email from [email protected]. 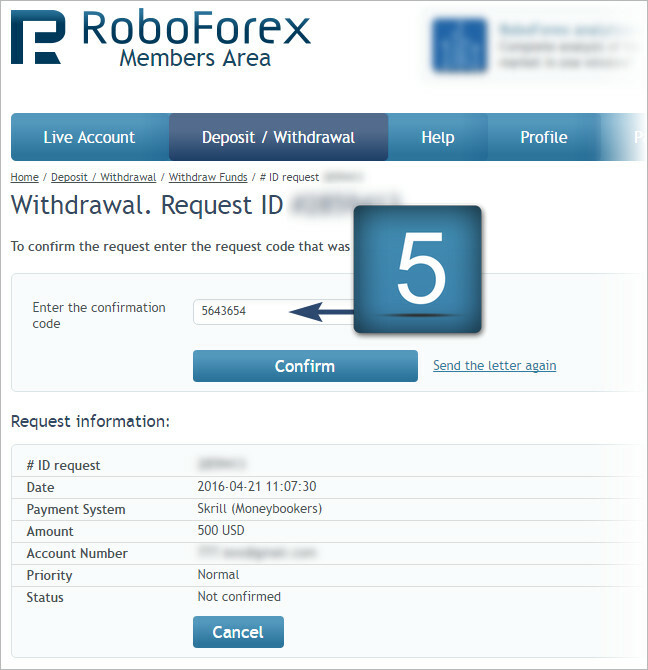 In your RoboForex Members Area the status of your request will be changed to "Executed".